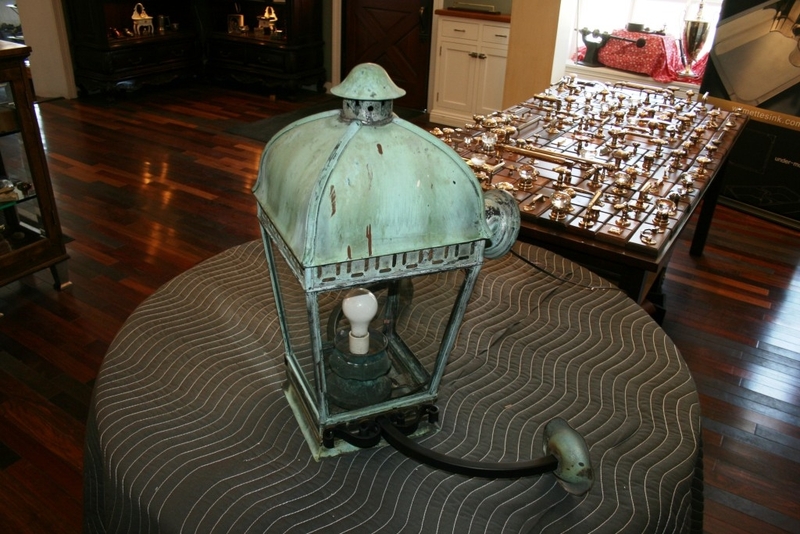 Here is a verde lantern that we restored by fabricating the scrolling and arms that had deteriorated over the years. 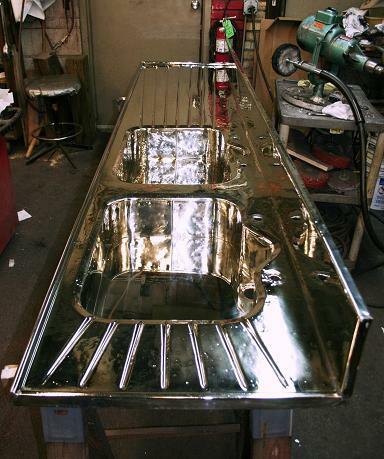 Great hardware is just a pleasure to work with! 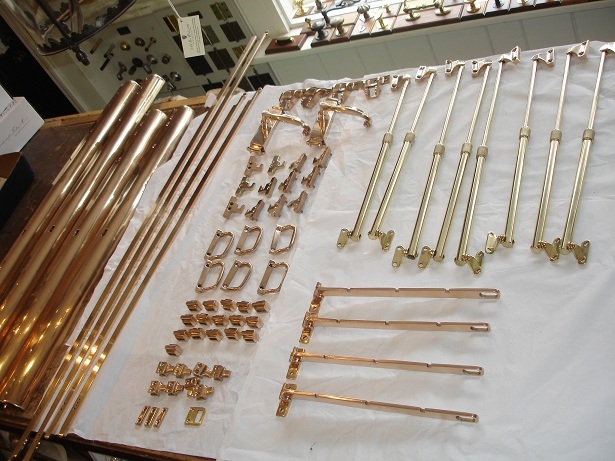 We cleaned and polished their bronze hardware leaving it un-lacquered so they can age naturally…. 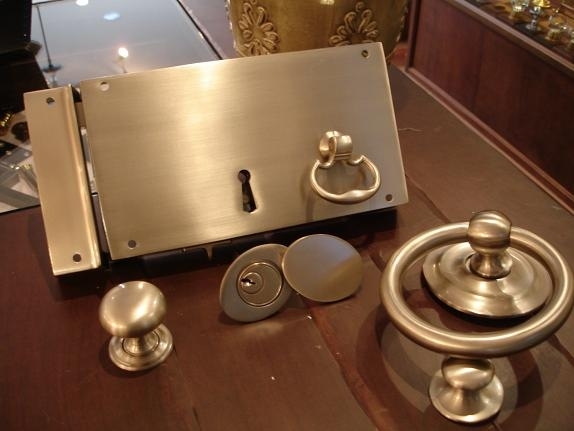 This custom rim lock is in an antique burnished silver finish and is at home in a Chicago apartment. 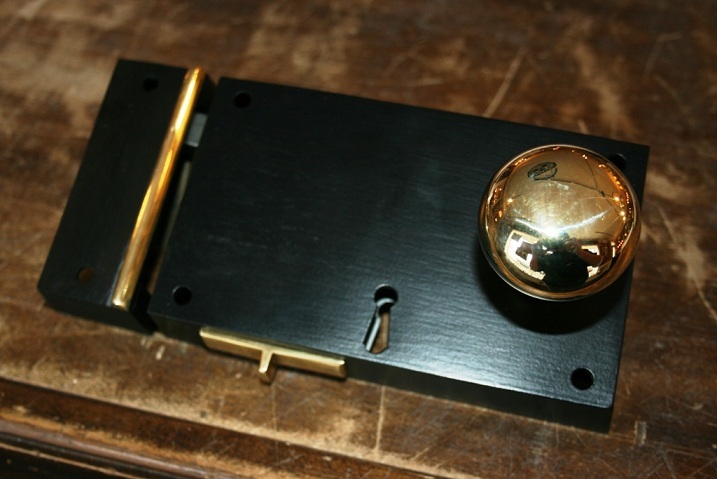 The matte black finish on this rim lock really makes the polished brass knob and trim pop. Here is the outside of a rim lock install. 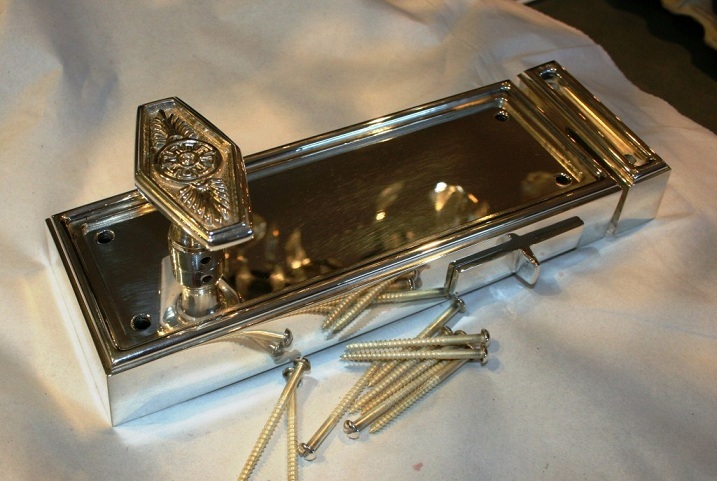 What a classic clean look with only a knob, rosette and lidded cylinder cover! 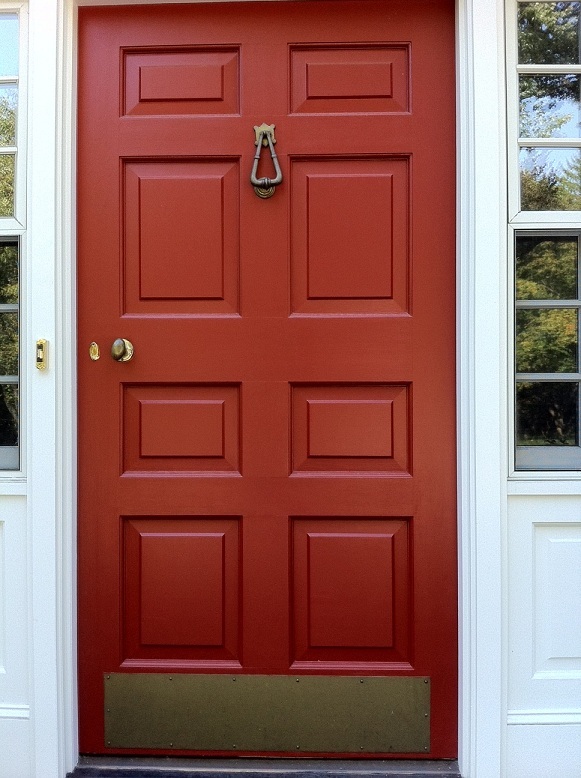 Rim Locks originated and are more prevalent on the east coast. 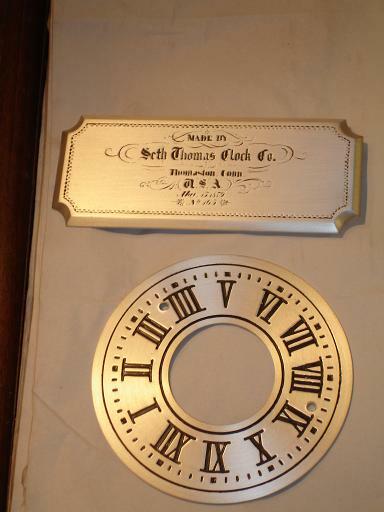 This one in satin nickel was made for a customer here in the mid-west…. 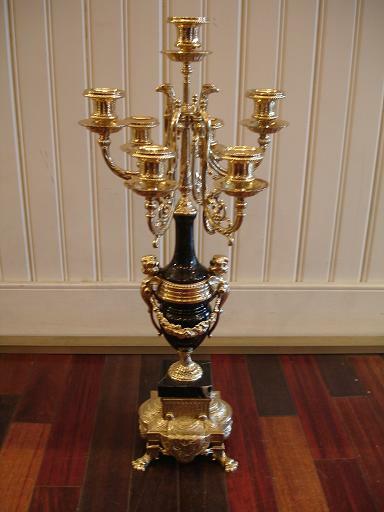 This magnificent candelabra was polished and given a coat of clear lacquer. 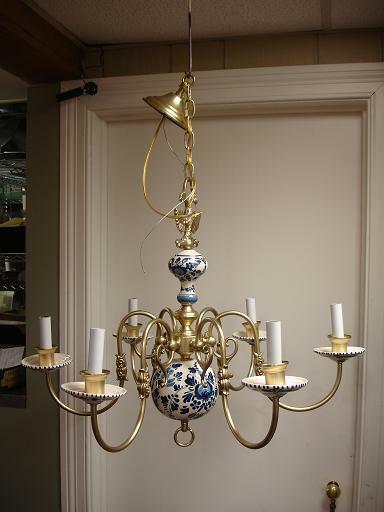 Our customer could hardly believe his eyes when it was picked up.